Outlast 2 – The Outlast 2 game introduces you to Sullivan Knoth and his followers, who left our wicked world behind to give birth to the Temple Gate town deep in the wilderness and hidden from civilization. Knoth and his flock are preparing for the tribulations of the end of times and you’re right in the thick of it. Outlast 2 launches on March 27. OPUS: Rocket of Whispers – Throughout the OPUS: Rocket of Whispers game, you will play as two survivors of an apocalyptic plague. Help them achieve the unimaginable goal of building a rocket, so they can return the deceased to their cosmic homeland through the ancient tradition of space burials. 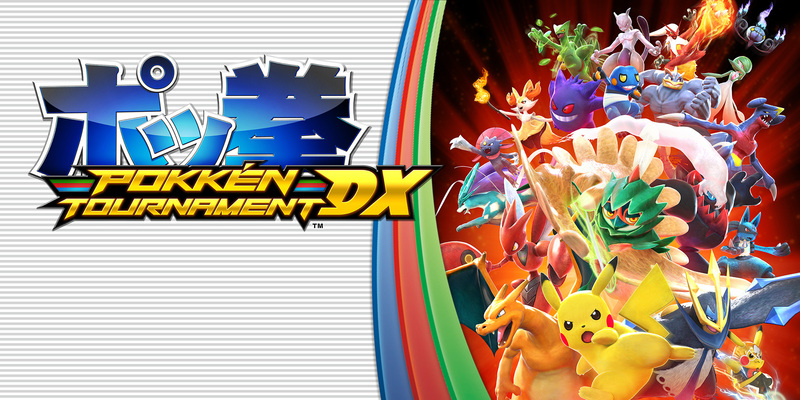 Pokkén Tournament DX Battle Pack Wave 2 – The Pokkén Tournament DX Battle Pack grants immediate access to Avatar items upon purchase and two waves of DLC as they are released. The Battle Pack contains two new Battle Pokémon and two new Support Pokémon Sets. With these Pokémon joining the fray, the battle is just getting started! Wave 1 released on Jan. 31, 2018, and contains Battle Pokémon Aegislash, a new Support Pokémon set featuring Mega Rayquaza and Mimikyu, and additional Avatar items. Wave 2 releases on March 23, 2018, and contains Battle Pokémon Blastoise, a new Support Pokémon set featuring Mew and Celebi, and additional Avatar items. Full version of game required to use DLC. Detective Pikachu – Crack the case in this new detective adventure game by interacting with a unique, fully voiced Pikachu. As Tim Goodman, you’ll partner with self-proclaimed “great detective” Pikachu to solve strange occurrences all over Ryme City. Together you must investigate, take notes and meet up with other Pokémon to unravel the city’s greatest mysteries! The Detective Pikachu game will be available on March 23. Game in 2D. The Alliance Alive – One thousand years ago, Daemons invaded the world of Humans. They subjugated Humanity and created the Great Barrier to separate the realms. Now the time for resistance has come. The Alliance Alive game evokes the nostalgia of JRPG greats with huge world exploration and intertwining stories of nine protagonists. The Alliance Alive launches on March 27. My Nintendo Presents Nindie Game Gold Point Rewards Vol. 4 – Got Gold Points? Get select games! My Nintendo users can now redeem Gold Points for some fun indie games on Nintendo platforms. For a limited time, you can redeem points to download select Nintendo 3DS and Wii U games from our talented independent developers. Users will receive a download code that is redeemable in Nintendo eShop. Please visit https://my.nintendo.com/news for more details. Super Mario Run – Time is running out! The Super Mario Run game is 50 percent off until 11:59 p.m. PT on March 25. Pay once to play all of the courses as much as you want. If you haven’t bought it yet, now is your chance! You can download and enjoy a portion of Super Mario Run for free in the App Store or on Google Play.